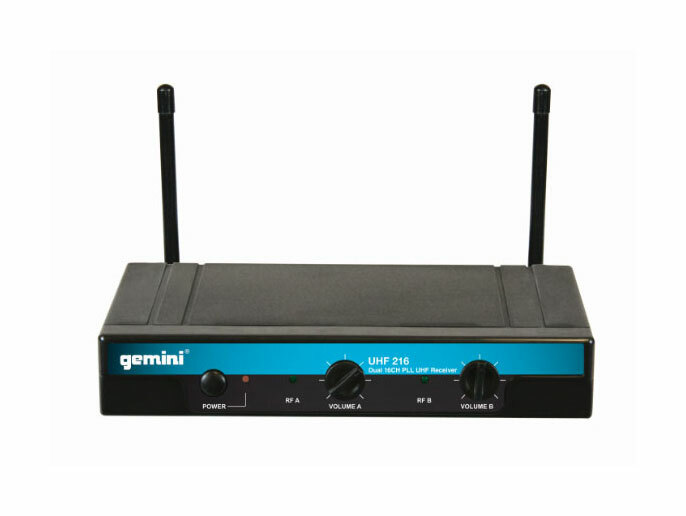 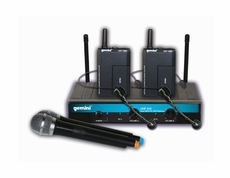 The Gemini UHF-216 UHF Wireless Microphone System is designed to provide clear, natural sound in any environment over longer distances. 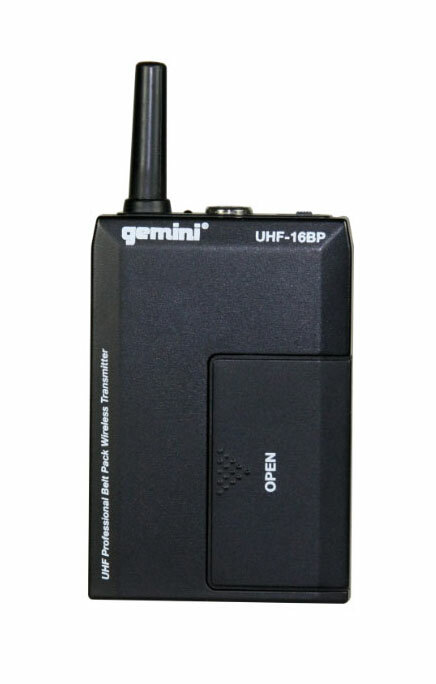 The UHF-216 system provides users with a range of up to 250 feet over 16 selectable frequencies to ensure optimal transmission with no interference. 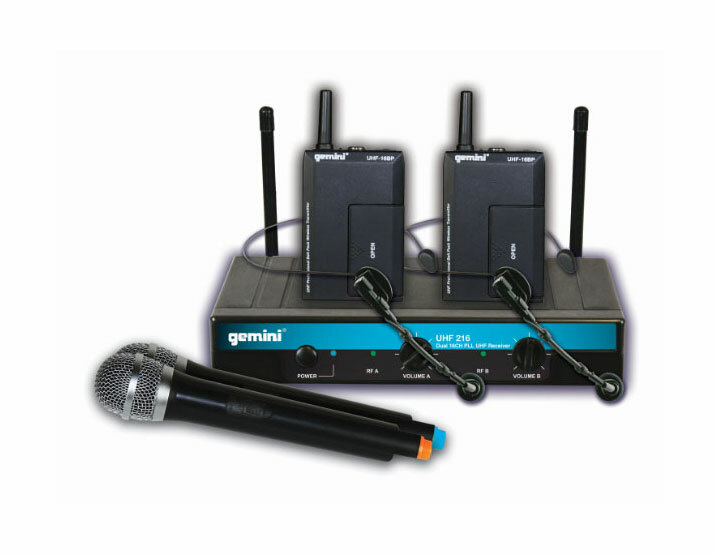 The UHF-216M includes the UHF-116 receiver and two UHF-16 HHM unidirectional dynamic pop resistant microphones for feedback rejection and high-SPL handling. 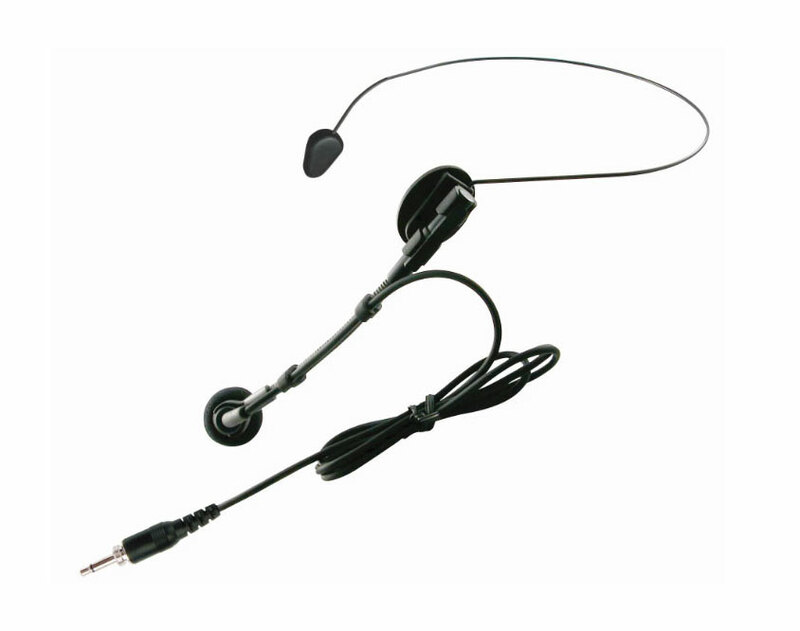 The UHF-216HL comes with the UHF-116 receiver and two HSL-08 combo headset/lavalieres that provide crisp, clear hands free sound. 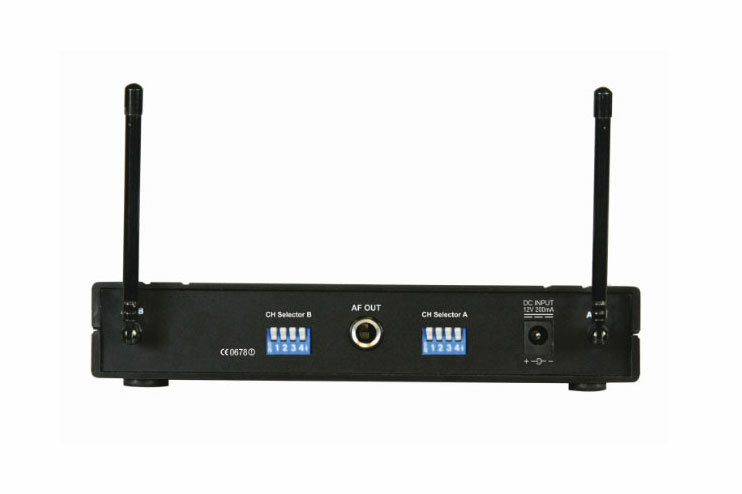 The UHF-216 provides unmatched performance and affordability in a wireless system for presentations, houses of worship, vocalists, musicians, DJ’s and public speaking venues.